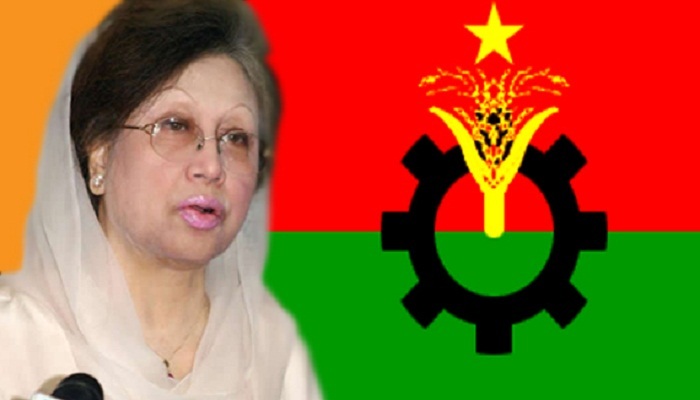 A video speech of BNP Chairperson Khaleda Zia has been posted on Facebook that asked voters to cast their votes in favour of the party’s mayoral candidates in the December 30 municipality elections. Sources in BNP said the 38-second video speech was posted on the BNP’s Facebook page at the early hours of Sunday. Wearing a greenish saree and keeping “sheaf of paddy”, BNP’s election symbol, on the left side of a table, Khaleda in her brief speech called upon all the municipality voters to go to the polling centres and cast their votes for the sake of protecting their voting rights, democracy, peace, security and development and to elect the BNP candidates. The party has targeted to reach over four to five lakh people through the Facebook.